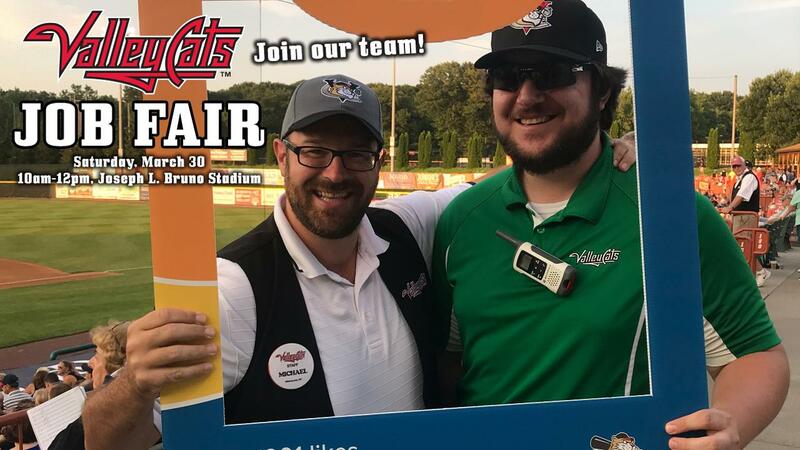 TROY, NY - The Tri-City ValleyCats will host their 4th Annual Job Fair at Joseph L. Bruno Stadium in Troy on Saturday, March 30 from 10:00am - 12:00pm. The Class A affiliate of the Houston Astros will be holding on the spot interviews for various positions for their 2019 summer season. Potential employees must be over the age of 15 and have the availability to work during the months of June through September. Applications are available at "The Joe," or can be filled out in advance by downloading a copy from the ValleyCatts website. The ValleyCats 2019 home opener is set for Sunday, June 16 as the 18th season of Minor League Baseball begins at Joseph L. Bruno Stadium in Troy. A Class A affiliate of the Houston Astros, the ValleyCats are coming off the heels of their third championship season since 2010. In 2018, the ValleyCats averaged over 4,100 fans per game, good for 92% to stadium capacity which is best in the 14-team New York-Penn League. Season tickets, mini plans and flex vouchers for the ValleyCats' 2019 season are currently available for purchase online or by calling 518-629-CATS. The ValleyCats are also taking reservations for groups of 20 or more, and individual tickets are set to go on sale March 28, MLB's Opening Day.